The Lake California side channel project site. During the winter and fall, the channel's flow is greatly reduced due to debris and gravel at the mouth of the channel. 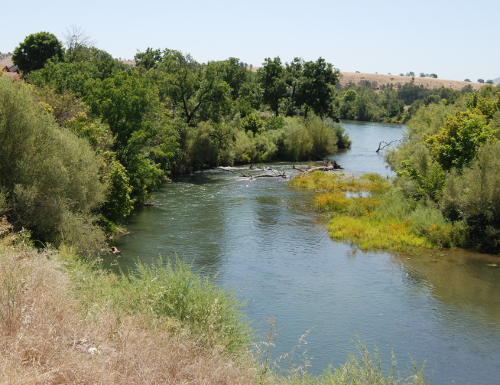 The purpose of this project is to increase and improve Chinook Salmon and steelhead spawning and rearing habitat by restoring and establishing additional side-channel habitat along the Sacramento River in Tehama and Shasta Counties. 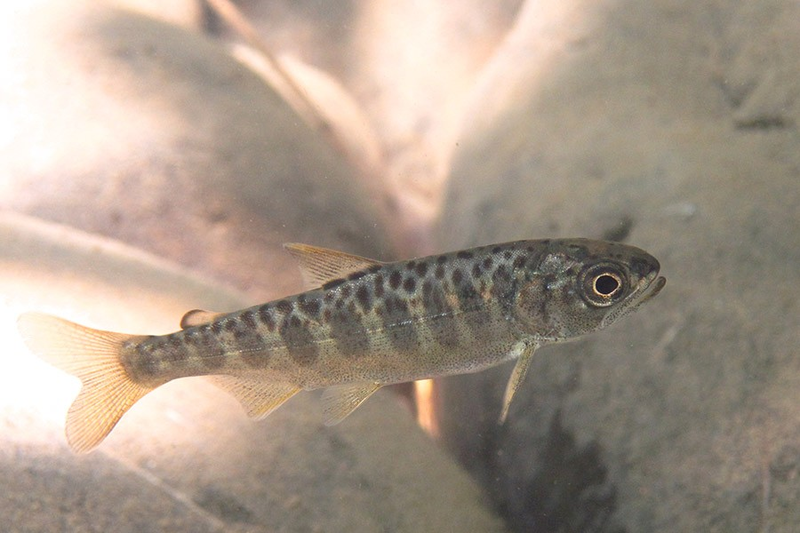 The declines of naturally spawned salmonid stocks is due in part to the loss of spawning and rearing habitat through reduced gravel recruitment and altered flow patterns which historically created and maintained side channel habitats. Floodplain and side channel habitats serve as important refuge and rearing areas for juvenile salmon and these habitats likely contribute substantially to the productive capacity and life history diversity of Chinook Salmon. This effort is part of the Upper Sacramento River Anadromous Fish Habitat Restoration Program, which is funded under the Central Valley Project Improvement Act (CVPIA). The Western Shasta RCD has been partnering with the USBR under this program and has completed several projects in Shasta County. See this page for more information. The US Bureau of Reclamation, California Department of Fish and Wildlife, US Army Corps of Engineers, the Sacramento River Forum, California State University, Chico, the Northern Region Office - California Department of Water Resources, the Resource Conservation District of Tehama County, River Partners, the Geographical Information Center, Princeton-Codora-Glenn Irrigation District, and the Provident Irrigation District.